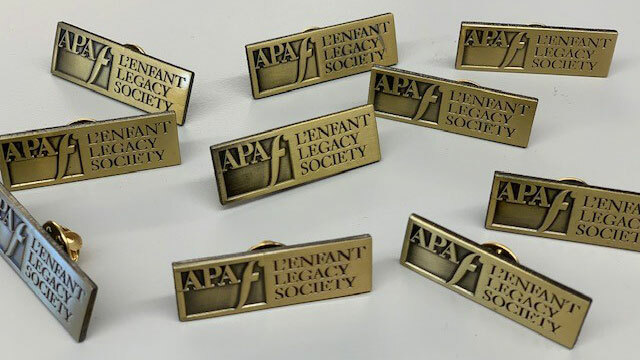 The L'Enfant Legacy Society honors and recognizes donors whose estate gifts to the APA Foundation make a significant impact both now and in the future. Their generosity directly benefits the next generation of planners and planning, as they have signed a letter of intent that specifically bequeaths support to the priority initiatives of the Foundation. Invitation to the Annual Foundation Reception at the National Planning Conference. The L'Enfant Legacy Society lapel pin. Leave your legacy by joining the L'Enfant Legacy Society. APA Foundation staff can work with you to create a gift that helps meet your needs, the needs of your family, and needs of tomorrow's planners. To arrange for a gift today or to designate the APA Foundation as a beneficiary in your existing estate plans (including wills, trusts, retirement funds, or insurance plans), please contact Christine Ott, Development Director at cott@planning.org. You may also download and complete this L'Enfant Legacy Society Letter of Intent and return it to the APA Foundation. Thank you for your support.